In response to a request from lawmakers, the Special Inspector General calculated a huge figure, but says it may only be "a portion" of the waste. WASHINGTON — The watchdog charged with tracking government spending in Afghanistan has released its first estimate of the total amount of money wasted there — a staggering $15.5 billion over 11 years — but says even that figure is probably "only a portion." 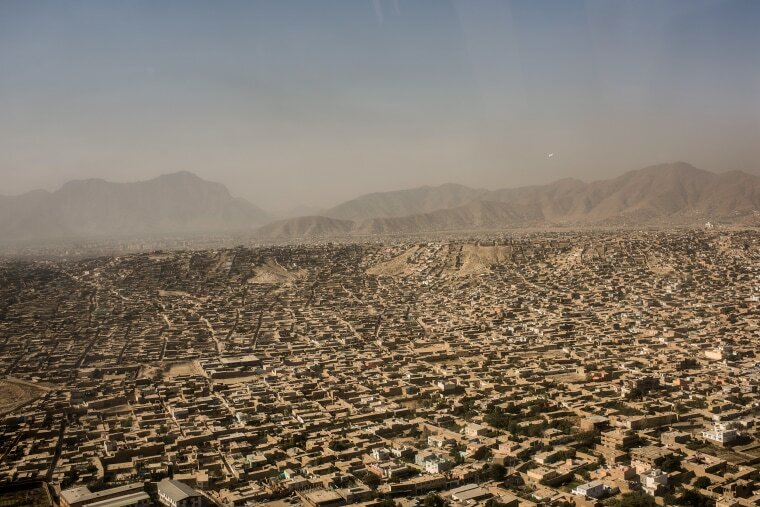 In response to a request from three congressman in 2017, the Special Inspector General for Afghanistan Reconstruction (SIGAR) began tallying the waste and fraud in the U.S. effort to rebuild the country. After 10 months of research, SIGAR sent a letter back to the congressmen that estimated the waste at $15.5 billion between SIGAR's inception in 2008 and Dec. 31, 2017, or 29 percent of the spending it audited. In the letter, obtained by NBC News, Special Inspector General John Sopko describes the figure as "likely … only a portion of the total waste, fraud, abuse and failed efforts." One of the three congressmen who requested the calculation, Rep. Walter Jones, R.-N.C., called Afghanistan a "black hole" for taxpayer money. "The American people deserve a better understanding of where their money is going," said Jones. SIGAR noted that more than $4 billion dollars intended for "stabilization programs" in Afghanistan instead led to "exacerbated conflicts, enabled corruption and bolstered support for insurgents". And the $7.3 billion spent to stem the Afghan drug trade has done very little to stop the "production and exportation of illicit drugs," according to SIGAR, which notes that opium production is now "at the highest levels since 2002." The report comes as the Taliban has continued to gain ground on the battlefield against the U.S.-backed Afghan government and as the Trump administration has launched a diplomatic bid to end the war. President Donald Trump, meanwhile, has expressed skepticism about continuing the American troop presence in the country. The U.S. has now had troops in Afghanistan for 17 years. Trump considered pulling out U.S. forces in his first year in office before reluctantly agreeing to extending and expanding the mission after a protracted internal debate. Aware of Trump's impatience with the war, U.S. commanders and diplomats are now eager to make progress with peace talks. Officials told NBC News that the president could pull the plug on the American commitment with little notice. During administration deliberations on the issue last year, Trump's then-chief strategist Steve Bannon favored withdrawing U.S. troops and replacing them with private contractors. The unorthodox idea — strongly opposed by the Pentagon — was floated by Erik Prince, founder of the private security firm once known as Blackwater that had U.S. government security contracts in Iraq. Prince's sister, Betsy DeVos, is Trump's education secretary.